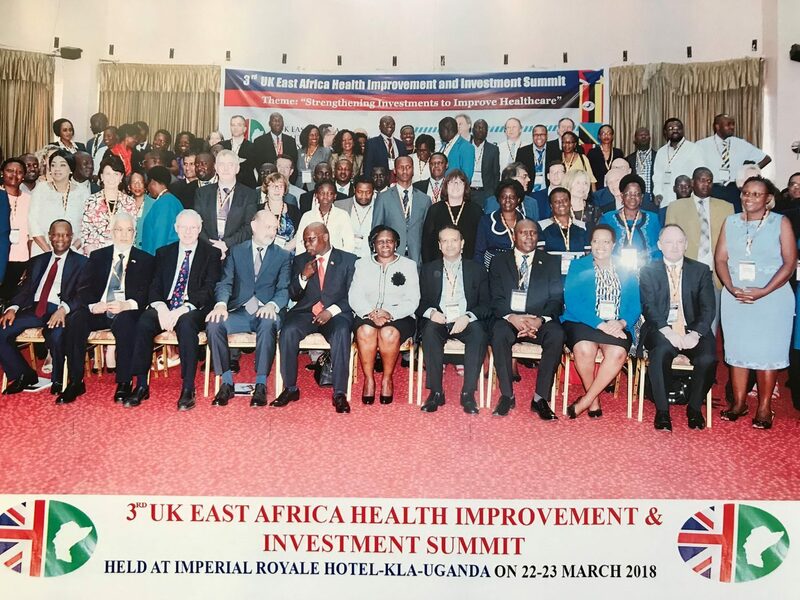 The 3rd UK East Africa Health Improvement and Investment Summit took place on the 22nd – 23rd of March in Kampala, Uganda. Over 400 delegates from around the world heard Uganda Minister Sarah Opendi, British High Commissioner Sir Peter West and Lord Nigel Crisp, Chairman of the UK all-Party Committee on Global discussed healthcare quality improvement and launched the Nursing Now global initiative. Amongst the 25 senior speakers, Professor David Denning, President of the Global Action Fund for Fungal Infections (GAFFI) and Professor of Infectious Diseases in Global Health at the University of Manchester spoke on the opening day: “Capacity building in fungal disease diagnosis will contribute to reducing AIDS, TB and cancer deaths”. Fungal infections still represent one of the most neglected areas in global health. Cryptococcal meningitis and Pneumocystis (PCP) pneumonia affect over 250,000 and 500,000 people worldwide, each causing 100,000’s of deaths annually. Histoplasmosis is a leading cause of AIDS-associated deaths in the Americas, with 80,000 deaths annually. Chronic pulmonary aspergillosis (CPA) affects >3 million people worldwide, most commonly complicating treated pulmonary tuberculosis patients. Sub-Saharan Africa is the most affected region by HIV, with an estimated 25.6 million people living with this persistent infection in 2015. Facing these high numbers of fungal infection related deaths on a world-wide scale, it is essential to provide health professionals with adequate training in recognising fungal infections quickly and efficiently since an early diagnosis can be life saving for those affected. If you would like to know more about the 3rd UK East Africa Health Improvement and Investment Summit, please visit http://ukeastafricasummit.uukha.org/.